There's more to booking an acting role than giving a solid performance in the audition room. Encore! Managing Director, Mindy Barker, explains 8 ways to prove to casting directors that you have what it takes to work on their next project. 1. Who are you auditioning for? Know the names of the production company, casting director, producer, and director and their credits. See one of the company's shows. Browse their website and social media. A great way to be memorable in the audition room is to greet the director by name or make a positive comment on their last show! BONUS: Social media is an AMAZING way to get your name on the casting directors minds in non-intrusive way. If possible, follow/interact with the theatre company, director, etc. Liking, commenting, sharing, and retweeting their content is a positive way to get your name out there. 2. Be aware of your behavior in the waiting room, because we know everything that happens there. Be polite and professional with the casting assistants. Avoid gossip. Be kind to the other actors, because you may be talking to a future castmate. Also-- Parents, we see you letting your youth actor run amuck. We're assuming this is your child on their best behavior, so how can we believe that they can follow directions at rehearsal or sit quietly backstage during performances? 3. Put your game face on! You only have a few minutes in the audition room, and we're already making decisions about you the moment you walk in. We're drawn toward confident, enthusiastic people who love the show and are happy to be there. Nerves can manifest in strange ways, making you appear shy, annoyed, or disinterested, so be present and aware. 4. You know the saying, "There are no stupid questions." However... Tread carefully with your questions and the time that you take away from the director or assistants at an audition. 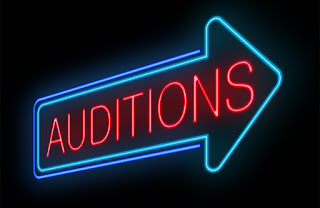 Asking something that could easily be found in the audition notice, materials included with your email, or researched online shows lack of interest and inability to follow directions. But if there truly is something we missed or you need clarification, it IS okay to ask! Just be prepared, don't be nosy, and don't expect special treatment or "inside information." 5. Show that you care about the quality of your performance by taking acting classes. All directors accept the fact that actors and parents will criticize casting decisions. These actors are often not doing enough to improve themselves as an actor, which starts with taking acting classes on a regular basis. Acting class is where you practice proper techniques, build on your strengths, develop your weaknesses, identify bad habits, and perform challenging material that will stretch you as an actor and prepare you for that next big role. Famous authors didn't get published by only writing when they were commissioned to write a book; they did it by writing every day to hone their craft. What do YOU do every day to hone YOUR craft? 6. Be prepared, be on time, and don't make excuses. 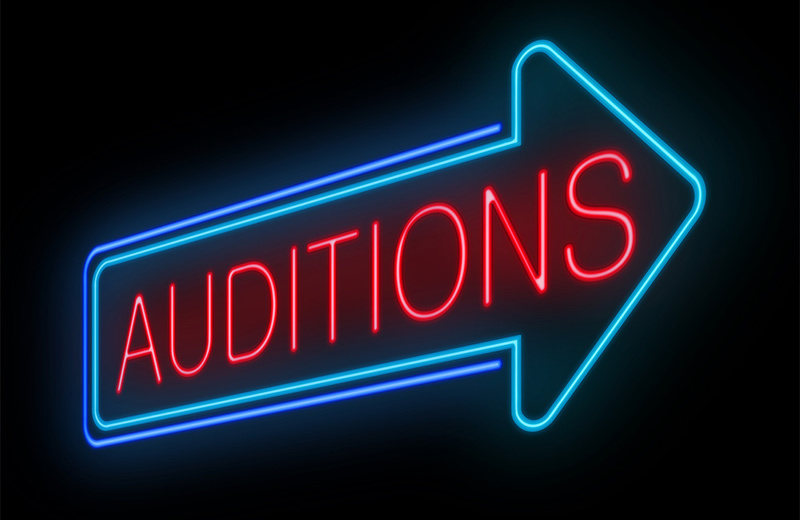 It's unacceptable to arrive at an audition without the necessary paperwork, headshot, resume, and other materials that are requested in your audition appointment. What's going to be your excuse when you're late to rehearsal or don't have your lines memorized? If we can keep track of hundreds of potential actors and their names, headshots, resumes, schedules, and other details, then you should be able to take care of one actor: YOU. 7. Don't give up! Just because we don't cast you in the first show you audition for doesn't mean we don't want to work with you at all. It just means you didn't fit in that show (I could write a whole blog post on that sentence alone). If you audition for us again, we WILL remember you and we WILL appreciate your perserverence. That already puts you in a better position than the previous audition. Maybe you've taken a class or earned a role elsewhere since we last saw you- even better! Just make sure your résumé is updated to reflect that. 8. If you do get cast and want to audition again for the company (maybe shoot for a bigger role next time), find opportunities to stand out in a positive way. Be a team player. Have a great attitude. Be flexible and easy to work with. Demonstrate a strong work ethic. Offer assistance where needed. Be friendly and helpful to your crew and fellow cast members. Don't skip out on strike or clean-up after the last show. Be on time. Be the person EVERYONE wants to work with, both onstage and off. We spend more time with you as YOU as a person than as your character, and if that is a positive experience, we WILL want to work with you again! That being said, NEVER assume that getting cast automatically means you will be cast in the next show. At the next audition, it starts all over again! VISIT THE AUDITIONS PAGE FOR OUR CURRENT CASTING CALLS!